We Should Be Dead is an Irish pop band now living in Los Angeles. I interviewed them here in Austin during South By Southwest (SXSW) in March. Their music reminded so much of the old Go-Go’s albums I listened to as a kid, only slightly grittier in sound. We talked about coming together back in Limerick, relationship lyrics and even marriage proposals in Alpine,Texas. We Should Be Dead is a group you should definitely give a listen to and get to know. 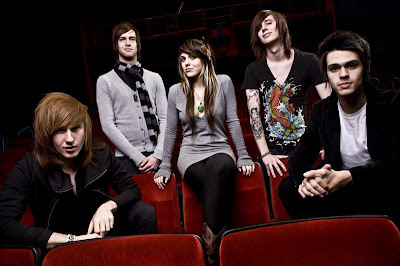 Fueled By Ramen artist and Port St Lucie natives, Versaemerge, are taking the music scene by storm. This female fronted, five piece rock band may draw comparisons to their label mates, but they truly are in a class of their own. Having a female lead singer is where the comparisons should stop. Their sound is theatrical, emotional, soulful and at times... epic. 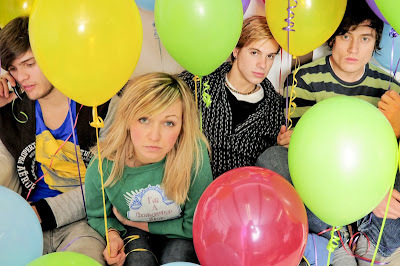 What is surprising is the band's stock is quickly rising with only an EP on Fueled By Ramen. I got a chance to sit down with the members of Versaemerge and chat with them about generational differences, being a female fronted band, and about being "comparamored". Album Review: Its Easier To Be Someone Else by Hey Ocean! Hey Ocean! 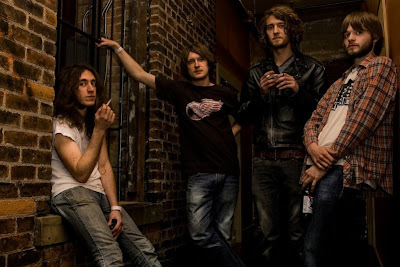 is a cool indie soul hybrid from Vancouver, British Columbia. They were here in Austin for SXSW this year and played one of the Musebox showcases. After reading more about them online, it appears they have created quite a buzz for themselves in their native Canada. Soon they will have the music blogosphere buzzing stateside as well with their sophomore effort, It’s Easier To Be Someone Else. Gwizsk Design (GKDN) just launched a rad new profile for Austin's own, Zlam Dunk. The profile was designed with an 80s color scheme of neon pink, white and blue. It is the same colors used on the 80s skate board classic, Thrashin. If you haven't heard of Zlam Dunk or seen their show, check out their calendar while you're checking out the new Myspace page. Make sure to come to their EP release party on May 29th at Stubb's here Austin. Nites21: Zlam Dunk from Ajay Miranda on Vimeo. Kanye Sent Me a Birthday Card!!! I thought this was funny when I opened up my inbox this morning. Kanye was thoughtful enough to send me a birthday e-card. That was nice of him....if only he'd send me a pair of Yeezy's in a size 10.5. 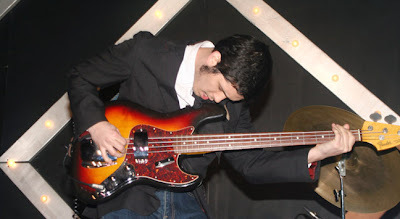 I first discovered The Satin Peaches by the recommendation of Alejandro Escovedo in an interview I did for Austin Vida. I asked him about new bands he liked. Escovedo mentioned three names specifically: Austin’s own The Riverboat Gamblers, At The Drive In, and The Satin Peaches. Having never heard of The Satin Peaches prior to speaking with Alejandro, I immediately got my hands on their latest album, Morning Maid. 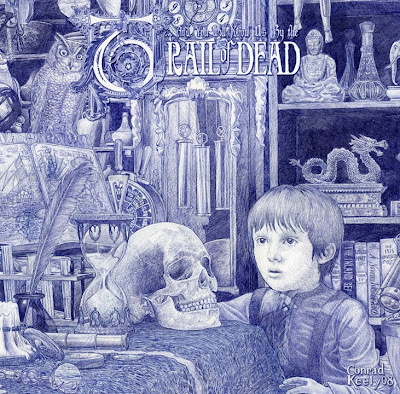 …And You Will Know Us By the Trail of Dead may well be the best indie band not from The United Kingdom. As much as I love The Arctic Monkeys and The Franks, they don’t hold a candle to Trail of Dead. The band’s latest album, The Century of Self, proves they are indeed the “it” indie band to contend with. Those of us who have been in Austin a while remember The Steamboat. It is now in the Austin history books between the Liberty Lunch chapter and The South Park Meadows chapter. The Steamboat triggers my memories of growing up in Austin in the 90s when I followed bands like Push Monkey and when I saw my first David Garza show. Vallejo and The Scabs were also Steamboat regulars. Recently the old Steamboat manager, Danny Crooks, was handling Pangaea Live. 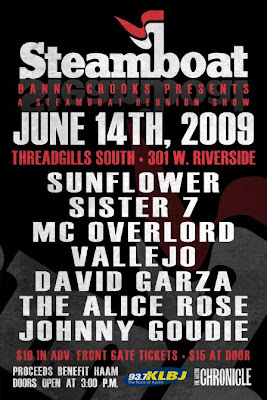 After a short stint doing that, Crooks is putting together a benefit show with some of his old Steamboat friends as you can see from the flyer. The Alice Rose also features Crook's son as a member. For only $10 advance or $15 at the door, you contribute to a good cause and see a great show. "The Boat: When Rock and Roll Was Dangerous"
Other than Grupo Fantasma, no one gets Austin crowds dancing better than Del Castillo. 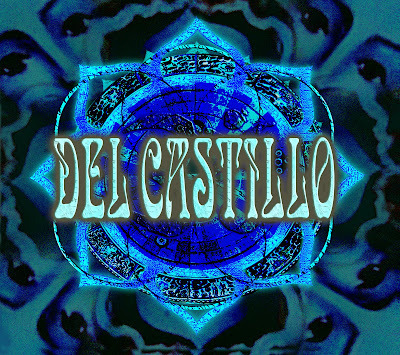 On the group’s latest self titled release, Del Castillo, nothing has changed. They are as consistent and rhythmic as they have always been. Mexican Institute of Sound (MIS) is musical master mind, Camilo Lara. MIS is a large part of the strong electronic dance music coming out of Mexico and all of Latin America. Having always the recipient of great international critical acclaim, MIS is still relatively unknown to the casual music listener here in the States. Only hipsters and Latin scenesters have MIS albums it seems. 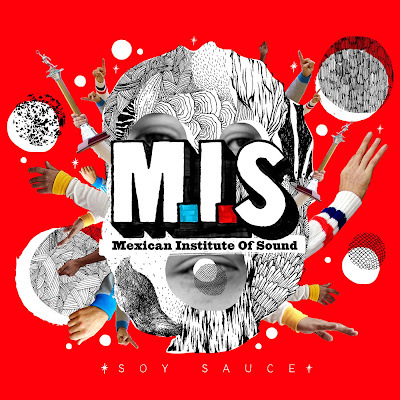 Fans of Moby, The Chemical Brothers, Nortec Collective or even The Verve (yes, The Verve) should have MIS’s new album, Soy Sauce, in their collection. 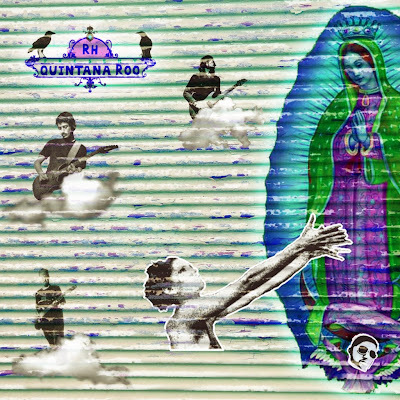 RH+ is a band that may surprise you after listening to their new album, Quintana Roo. Being on Nacional Records, home to international superstars such as Manu Chao and Plastilina Mosh, one might expect something more “Latin” sounding. With English vocals and no sign of any cumbia or salsa influence, one might guess that RH+ was a European group. I know Chile is a breeding ground for great rock en Espanol, but RH+ is more along the lines of Stereo Lab or Joy Division. Houston Hip Hop artist, Slim Thug, will be at Piranha Records Round Rock before getting down with Paul Wall at Spiro's this Saturday. I am not as big on hip hop these days as I once was, but I love pretty much everything coming out of Houston these days. Slim has a smooth flow, a distinguishable voice and good production on his songs. As for Piranha Records, I have to give them props for really being big supporters of this sort of regional or underground genre of Hip Hop. 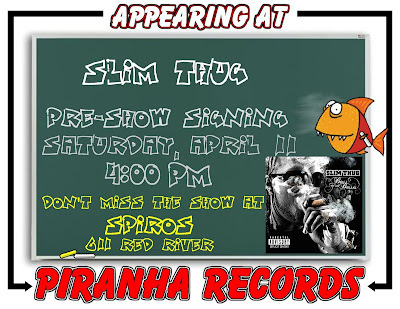 All types of artists from Slim Thug to unsigned cats come through Piranha Records. It has been a staple in Round Rock for a few years now and I am happy they've sustained. One reason is their support for Underground hip hop and their Screw connections. 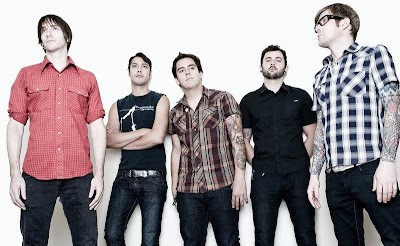 The Swellers hail from Flint, Michigan…not exactly the punk rock haven in comparison to places like California or Boston. Still, somehow up there in the Midwest The Swellers produced great punk rock that is worthy of the whole country’s attention. 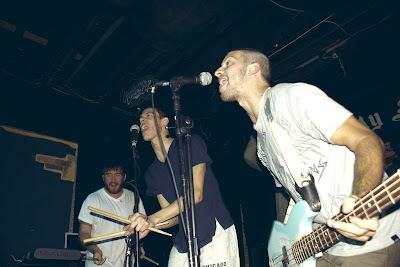 When I first saw them in Austin a couple of years ago or so at Red 7, I thought they were the poor man’s Rise Against. 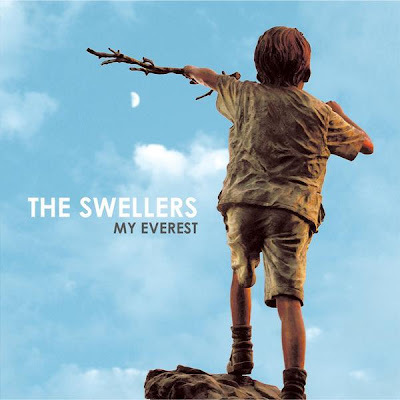 Their latest album, My Everest, sets them apart from those kind of comparisons.